GREE most premium inverter air conditioner named as U-Crown Series is produced with the aim of providing a premium and reliable solution in the heat waves of hot summer. Customers can get this revolutionary 1.5 ton Inverter AC for Rs 119,000/-. Having a sleek built design and a Wi-Fi operating system, this air conditioner can be operated through a mobile app as well. The U-Crown Series is also equipped with a 2 stage compression system; which makes cooling more powerful. The 4 way air-outlet system allows the room to get completely chill from all angles. Filled with the R410A refrigerant, this inverter AC is both eco-friendly and energy efficient. Health filters are installed to ensure pure and healthy environment in rooms. These filters enhance efficiency and environment friendliness providing superior indoor air quality, making your home feelcleaner and fresher. Minimizing the pollution factor by plasma cold, charging electric ions which kill bacteria, whereby eliminating 99% of particles and microbes with an electro plasma filter. For people suffering with dust allergies, this is a plus. The U-Crown Series provides up to 60% energy saving, a low-voltage startup and auto-voltage adaptation from 150-260 volts. This series is truly a collection of exclusive and elegant AC inverters, which are the best choice for the summers. 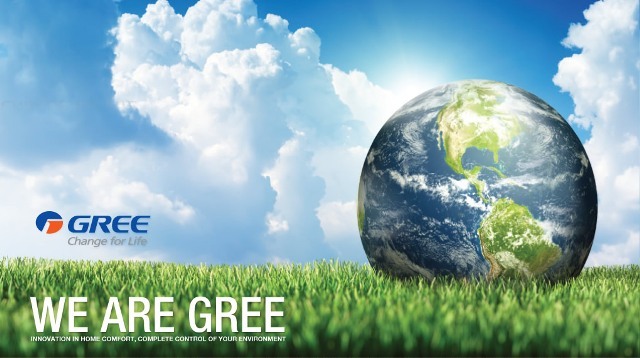 GREE being a global brand of electronics reflects technological excellence. In Pakistan, DWP Group is the official distributor of GREE that ensures nationwide availability of its products, along with prompt after-sales support, through an extensive network of outlets. EcoStar advises to stay hydrated!